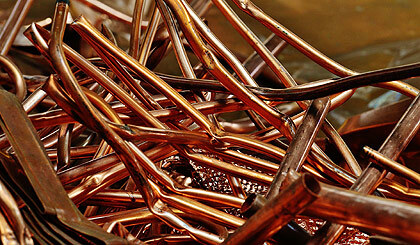 Free Scrap Metal Collection & Recycling in Hampshire. 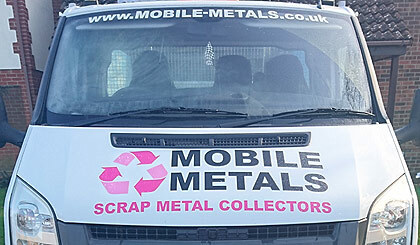 Welcome to Mobile Metals - we are Hampshire's leading Scrap Metal Collectors, covering Fareham, Portsmouth, Gosport, Havant, Southampton and nearby areas. We are fully licensed and reliable scrap metal dealers offering a vast and comprehensive service to the local community. 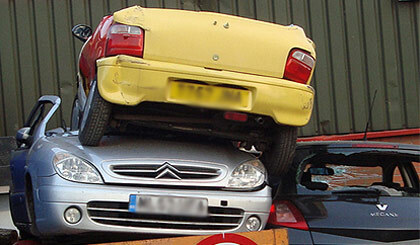 Along with our popular mobile service, we have also opened a scrap yard in Fareham for your convenience and we also collect and buy scrap cars and vans across Hampshire. Looking through these pages you'll find out more about our company Mobile Metals, the type of Scrap Metal Service that we provide across the South and an indication of scrap metal prices we offer to our customers.